Chinese leader Xi Jinping is visiting United Kingdom and British news media are reporting that United Kingdom is acting like Red China’s “PANTING PUPPY.” I am not surprised. I had seen Nixon-Kissinger in 1972 acting like Chairman Mao Zedong’s panting puppies. “TIBET SILENCE” is the Mantra that Nixon-Kissinger used to befriend Communist China. Now, they have to learn a new Mantra to get out of that deadly embrace. Both US and UK have much to lose and nothing to gain through this misadventure. 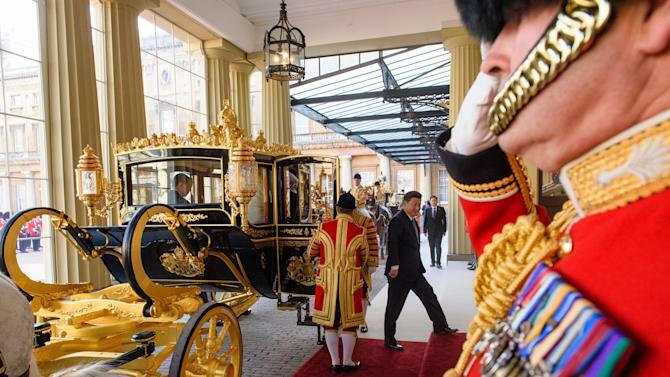 China’s President Xi Jinping is receiving a ceremonial welcome by the Queen as he begins the first full day of his visit to the UK. 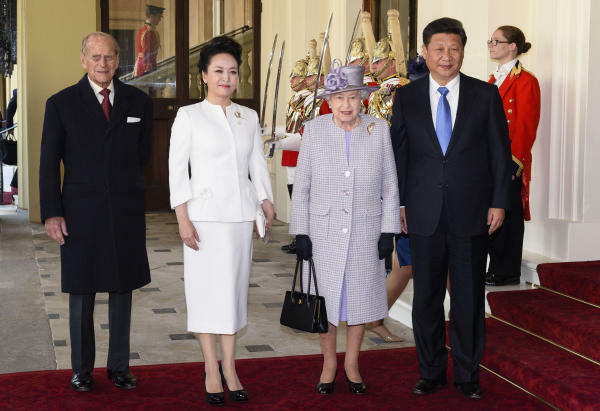 Mr Xi and his wife, Peng Liyuan, took part in a procession along The Mall to Buckingham Palace, where a state banquet will be held later. The UK government said engaging with China was in the “national interest”. The visit comes amid job losses in the UK steel sector, with cheap Chinese imports among factors being blamed. Tata Steel has announced the latest in a series of cuts, with 1,200 jobs going at its plants in Scunthorpe and Lanarkshire. Prime Minister David Cameron has said he will raise the steel issue in talks with Mr Xi. 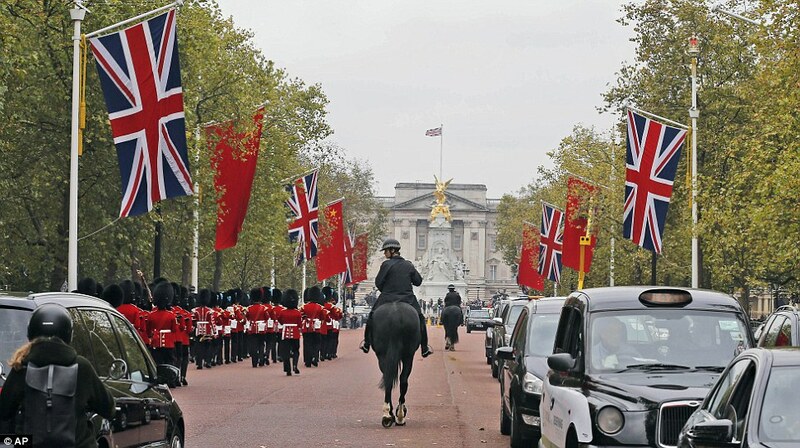 The Chinese leader was welcomed by the Queen, the Duke of Edinburgh and Mr Cameron during the ceremony in Horse Guards Parade, while a 41-gun salute was held in Green Park. 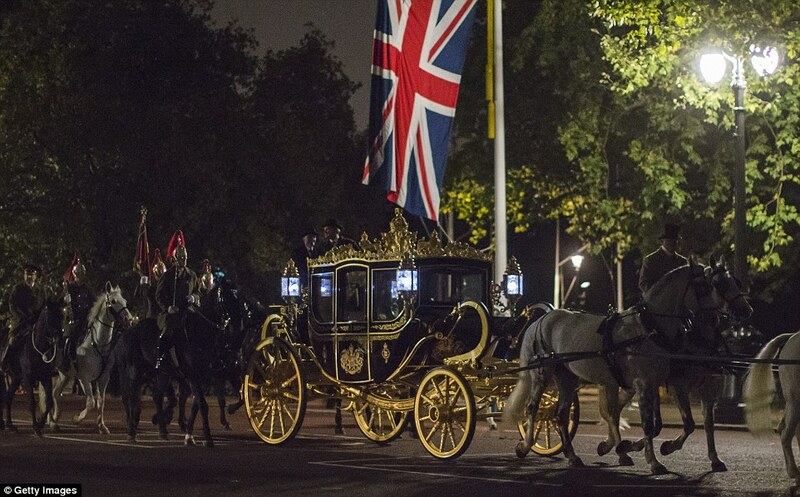 He then took part in a carriage procession along The Mall, as he headed to Buckingham Palace for lunch with the Queen. Ministers expect more than £30bn of trade and investment deals to be struck during the four-day visit, which will also include talks between Mr Xi and Prime Minister David Cameron. From the point of view of the Communist Party leadership, it’s imperative that the visit goes off without a hitch. The government’s reputation for competence was undermined over the summer by the stock market meltdown, growing questions over economic growth and the Tianjin warehouse explosions. The party needs President Xi to be shown respect internationally in order to bolster its own popularity and power at home. Chinese state media have effused about “the reddest of red carpets” and a new golden era of “win-win results” between China and the UK. In general the public is supportive of President Xi, thanks to his campaign against corruption and his carefully-crafted “man of the people” image. They too want to see their leader, and his glamorous celebrity wife, shown respect on the world stage. But there is also a fascination among the emerging middle classes of China for things British, including royalty, contemporary music, fashion and TV drama. Protests have been held on The Mall by members of the Anti-China Free Tibet group and the human rights group Amnesty International, to coincide with the visit. Amid pressure to bring up China’s record on human rights during political talks, a Downing Street spokeswoman said “nothing is off the table”. She said she expected China’s cheap pricing of steel on the world market to be discussed. China’s human rights record and the threat from cyber attacks were also likely to come up during two planned rounds of “substantial” talks, she added. Mr Xi will also address both Houses of Parliament later and meet Labour leader Jeremy Corbyn. The Treasury hopes to establish China within 10 years as Britain’s second biggest trading partner. However, critics have accused the government of “kowtowing” to Beijing. “If you act like a panting puppy, the object of your attention is going to think they have got you on a leash,” James McGregor, chairman of consultancy group APCO Worldwide’s Chinese operations, said. Mr Hammond denied the government was being naive, saying it was “very much in our national interest to engage with China”. 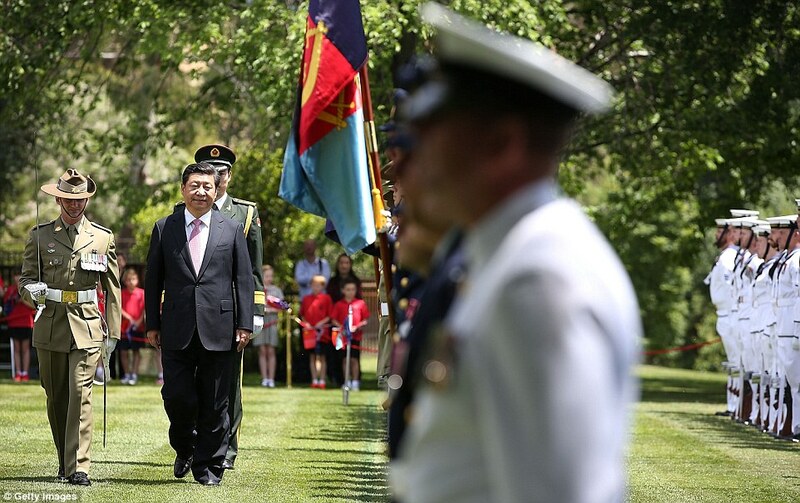 “I think we are developing a mature relationship with the Chinese,” he said. 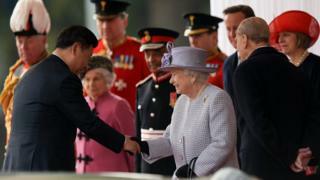 The trip – the first UK state visit by a Chinese leader since 2005 – has been hailed by officials from both countries as the start of a “golden era” of relations. Chinese companies are to be allowed to take a stake in British nuclear power plants, and a trip by Mr Xi and Mr Cameron to Manchester later in the week is expected to see the announcement of further investment in the so-called “Northern powerhouse” project. But the visit comes as China’s economy grew by just 6.9% in the third quarter, the weakest rate since the global financial crisis. 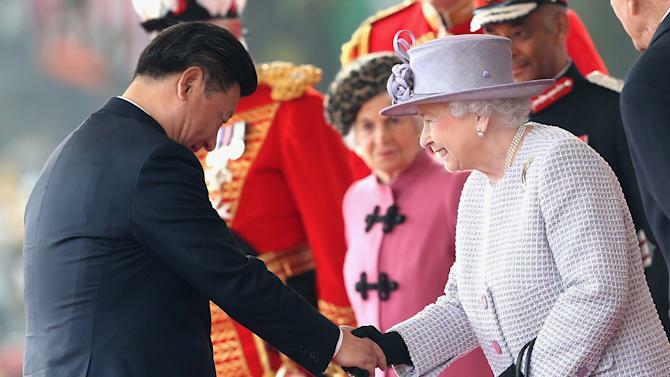 In the customary exchange of gifts during a state visit, the Queen gave the Chinese president a collection of Shakespeare’s sonnets and the monarch received two of his wife’s folk albums in return. 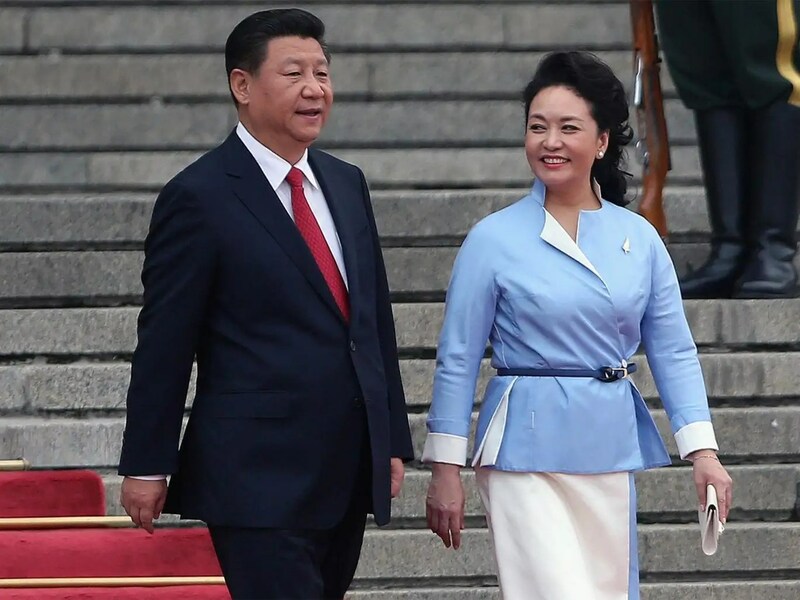 Xi Jinping is said to be a fan of the Bard, while his wife Madame Peng is a celebrated singer in her home country. 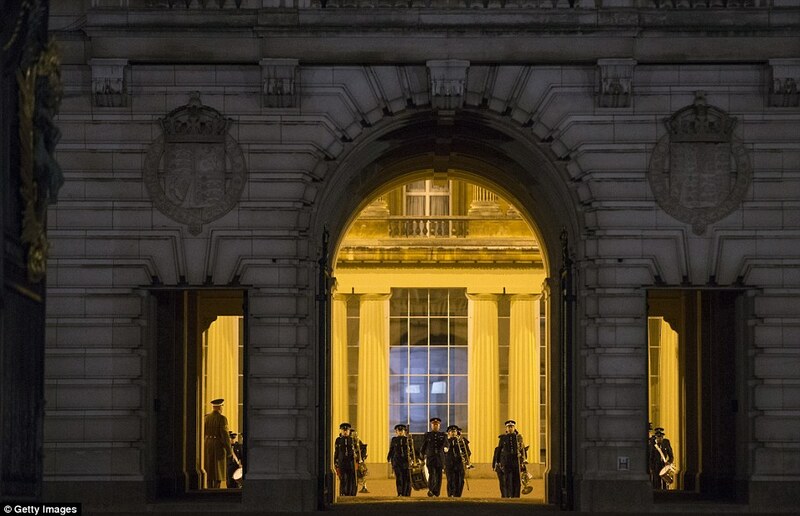 The state banquet will be attended by members of the Royal Family – including Prince William and the Duchess of Cambridge – as well as Mr Cameron and Mr Corbyn. Prince Charles, a friend of the exiled Tibetan leader, the Dalai Lama, will not be attending, but no official reason has been given for his absence. China’s ambassador to the UK said he doubted Mr Corbyn would raise the issue of human rights at the banquet, but the Labour leader’s spokesman said he would be “using the opportunity” of Mr Xi’s visit to raise his concerns.